When we look at the larger Galactic picture of consciousness enslavement, we see the NAA’s many pronged agenda to target the brain, CNS and thought forms of every person on earth. Through the agenda of Transhumanism, we see the promotion of hybridization and synthetic integration with artificial neural networks for control over the CNS and brain. What is starting to surface with more clarity is that our human neurobiology is wired for empathy, which connects us to higher consciousness and has a spiritual function. The NAA and their minions of soulless AI infected synthetic beings do not have the bio-circuitry for empathy. We are in essence, in a struggle between human EMPATHS, and alien hybridized humans and extra-dimensional aliens that are NON-EMPATHS. 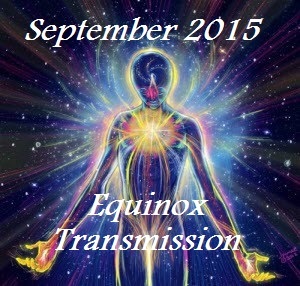 This month we will look more deeply at Bio-Neurology, and the bio-circuitry of empathy for another layer of reveal. How chemical agents and ELF are used to target the CNS, and are actually destroying the human capacity for empathy. 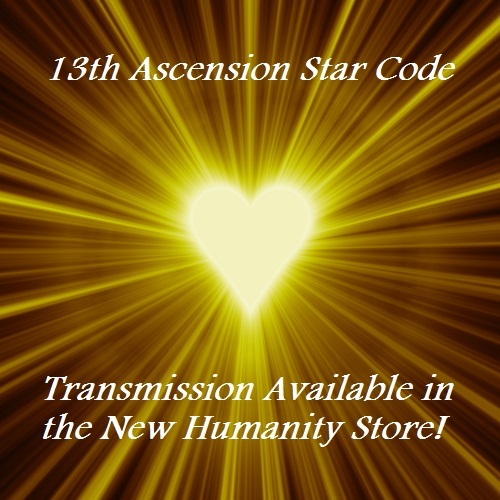 To understand how the stages of Ascension and bio-neurological expansion increase the capacity for empathy, aligning us to be of Service to Others and Planetary Gridworkers. Neurobiology and Neuroscience are used interchangeably to refer to the branches of biology that focuses on the structure and function of the nervous system and brain. The field of Neurobiology includes the study of biological neural networks, in order to replicate their functions in the production of artificial neural networks. An artificial neural network is an artificial intelligence network that mimics the functions of the Central Nervous System (CNS) and brain of living things, like people and animals. The discoveries in the field of Neurobiology have lead to the massive expansion and demand for mass consumer products, manufactured in both of the flourishing multiple billion-dollar industries of Biotechnology and Pharmaceuticals. Biotechnology is the use of living systems and organisms to develop or make products, especially with the focus upon the genetic manipulation of microorganisms and their chemical reactions. Currently, the means of gaining technological or pharmaceutical control over neural networks, brain mapping, genetic modification and the exploitation of biological systems, is an enormous commodity that is being merchandised on and off planet. The quest to gain total control over the Bio-Neurology of life is a very big business, hiding a very dark secret. During the current bifurcation phase, the extremely heated debate around disclosure of the covert technological methods used for bio-neurological enslavement are being fought over in the public arena, argued over behind closed doors, and are rippling throughout the Solar System. Without experiencing feelings of empathy for humanity that give rise to holding reverence for the sentient consciousness within all life, we can more easily see how those put into power are capable of committing grave harm to others without remorse. When a huge segment of the population is disconnected from life and devoid of empathy, we can better observe how these destructive thoughtforms are more easily shaped into material possession and ownership. The escalation of corruption, bribery and technological abuse that are being forced upon us by the controlled powers of the corporatocracy are very difficult to observe. We are inundated with deceptive marketing campaigns and the clever use of intimidation to force submission into the larger agendas of bio-neurological control tied into mass consumerism. People are being intimidated to make their own babies and children experimental guinea pigs, for developing the future generation of disconnected bio-tech and drug consumers. We are living in a transitional time, which means we will have to face the hard decisions about what we can do to remove ourselves from feeding into the vast global system of consciousness enslavement and mind control. It is worthwhile to do the research, and look at the skyrocketing statistics for bio-neurological diseases, and consider who and what wants to gain complete control over human and animal Bio-Neurology. What are the many unethical methods being used to gain bio-neurological control over people that is making them sick? If we are willing to open our mind to see the clear picture of corporate interests hiding a much larger global agenda of bio-neurological control, then we can take some steps to empower ourselves. We can take back our consciousness power through informed consent, and stay present and aware of larger agendas in order to protect our nervous system and brain. There is little to no information available to help people understand that our bio-neurological functions are directly responsible for interconnection with our spiritual bodies, and that if our Bio-Neurology is hacked we are effectively disconnected from our emotions, heart and Soul. Therefore, there is little knowledge given to the public about the nervous system’s critical role in experiencing the energetic interconnection with life, including feeling empathy, spiritual awakening, cellular telepathy and developing all forms of higher sensory perception. A brain being controlled by the thought impulses sent from artificial neural networks, does not feel empathy or connected with life. The health and functioning of the CNS and brain are the most critical components in properly transmitting the DNA’s electromagnetic signals and frequency impulses, which also communicate directly with the etheric neural networks that exist within our Soul-Spirit bodies. During the Ascension Cycle, for those awakening as well as the new generations being born, some humans are experiencing a positive range of genetic mutations that are impacting nervous system development and brain processing. As the countermeasure, many in the medical community are pressured to heavily medicate all people that fit under diagnostic labels for spiritual crisis, or under umbrella terms used for neurodevelopmental disorders, such as ADHD and the Autism spectrum. If our Bio-Neurology is continually assaulted, implanted, drugged, and overloaded with cocktails of energetic and chemical toxins, not only does this negatively impact immunity and health it easily blocks messaging between the body, brain and the higher consciousness bodies. When the human body is inundated with many low frequency electrical signals combined with specific chemical toxins, they produce unique etheric implants that block the higher frequency messaging between the nervous system and brain. As an example, it has been observed that the type of electrical emission patterns and/or Chemtrail substances sprayed into an area are commonly matched with certain manufactured lots of flu shots that are made available in the same location. Electrical emissions into the local environment combined with chemicals and/or injections produce a range of bio-chemical effects, including bio-neurological and consciousness effects, on the public. When methods are used to block neural impulses in the CNS, this impairs the brain’s ability to process reality and recall memory. Further this blocks the brain from receiving communication signals at higher frequencies, that exist above the lower frequency scale of material reality. This combination is commonly used as a type of localized electro-chemical induced frequency fence for the human Bio-Neurology. Therefore, the frequency fence blocks higher consciousness development as it impairs the bio-spiritual evolution and the ascension process for that individual. In order to remove the frequency fence from suppressing our consciousness, we first have to see that it exists. When the body and brain are being blocked with some method or form of bio-neurological harassment, it redirects the nervous system and brain to be more accessible to receiving thought transmissions generated from external sources of electromagnetic pulses, such as artificial neural networks. Artificial networks continually send out electromagnetic pulses of information through the mass media to keep people fixated on meaningless dramas, 3D narratives and negative emotions. The current role of mass media is to keep the CNS redirected towards a range of negative thoughts, and to fixate or obsess on external physical stimulus or material things. In many forms of mass media and marketing, there are electronic hacking attempts on the biological neural networks that signal messaging into the brain. In the media, whether through movies, internet or any recreational medium, when focusing the person’s attention on a series of light and sound images, these images transmit holographic information, sometimes transmitting frequency implants into the CNS and brain. The most popular form of mass media is the propaganda used by the cabals for directing mind control, which is used to shape the person’s brain activity and mental map. The content for mass consumption is produced and controlled to reflect light and sound holographic images that form what people believe is the nature of their reality. There are a variety of external transmissions both in sound and light waves (audio and visual), emanating from the ranges of the electromagnetic spectrum of frequencies. Some of these transmissions are more natural and human, while others are designed for artificial mind control and are non-human. The physical human body emits electromagnetic waves and the signals used to control most brain and bodily functions exist in the extremely low frequency scale. Extremely low frequencies can be easily sent out through a variety of technologies and are used as a method of electronic harassment, targeted towards many human beings. These electromagnetic signals are directed into the planetary body and earth surface in order to control the neurological system and brain, of individuals and groups of people. Implants and mind control technology are real, it is an established, certifiable fact that the media will not tell you about. The technology exists, the hardware is in place, the patents are on record and the agencies that run and control it are in place and have been operating these technologies for a long time. Mind Control is used to form socially acceptable belief systems and shape anti-human value systems, which direct thoughts that are in contradiction to each other, like war and killing for peace. As long as the planet is at war with itself, and humanity thinks we are at war with each other, we feed into the mind control system of the NAA, which allows them to continue the vampirism of planetary resources. Mind control frequencies and forms of electronic harassment generate bio-neurological impairment in the human body, which reverse and confuse brain signals. The satanic agenda is to reverse human neurological functioning by conditioning the person to create and feel pain in order to activate their pleasure centers. The cycle of interconnection made between pain and pleasure centers is reinforced and conditioned into the bio-neurology non-stop, which escalates into harmful addictions or deviant behaviors. When we pay attention and we care about what is happening to the planet and people, we will begin to clearly see an agenda designed to assault and damage the human nervous system. If we are more aware of how the neurological functions in our body are related to our mental and emotional states, then we are equipped to take control over the direction of our thoughts and emotions. Then we can open and train our neural pathways to receive direct messages from our higher consciousness bodies, the Soul-Spirit Self, overriding the messaging from the three layers of ego that are the main frequency spectrums used in electronic harassment and mind control. Bio-Neurological impairment is used to describe many types of mental illnesses that are defined as emotional and behavioral disorders, such as Autism. It is also used to describe a range of neurodegenerative diseases like Alzheimer’s, Schizophrenia and Parkinson’s. As statistics for bio-neurological diseases and mental illness have skyrocketed over the last 40 years, questions need to be asked about what is changing and damaging the Bio-Neurology of the human being? These are facts that cannot be disputed in the scientific and medical community. Currently, one in 42 boys are diagnosed with Autism spectrum, classified as a bio-neurological disease. One in 3 seniors die with Alzheimer’s, while one in 9 people over 65 are diagnosed with Alzheimer’s, a bio-neurological disease. According to the National Alliance on Mental Illness, one in 25 adults in the U.S. experience serious mental illness that impairs daily functioning, making them dependent on psychoactive drugs. While one in 4 people suffer from general unspecified mental health disorders. That’s a tremendous amount of psychoactive drugs being prescribed to the world population, at every age, in which these drugs act to take control over the functions of the CNS and brain. Anything that takes control over the functions of the nervous system and brain can potentially impair or damage the self-awareness and consciousness state of that individual. What are the long-term effects of the consistent consumption of combined drugs that act to control the nervous system and brain? Does this break down immunity and eventually generate a host of diseases, like Alzheimer’s later on? Common sense tells us that if we become childhood consumers of an array of medical products, we will grow into adulthood dependent on even more medical products, having spent a lifetime of dependency on the medical system, at a cost of hundreds of thousands of dollars per person. Many people have gone bankrupt trying to pay for the outrageous costs of family medical expenses. Some of us realize that western medical care is not health care. It is a consumer product marketed to the masses in order to be immensely profitable for corporations, and is not designed to heal people. These multinational corporations have far reach that extends to non-human oversight and control over their management operations that ultimately serve off planet agendas. These agendas include mass introduction to methods of bio-neurological impairment, in order to gain full control over the human species and all of life. The result of bio-neurological impairment is that many people become mentally fixated on the external and overwhelmed by the assault of artificial electromagnetic stimulus, so they shut down. They are unable to access inner emotional feelings, empathy or compassion, or sense the quality of energies around them. Bio-neurological impairment gradually produces soul disconnection and mental fragmentation. When a person is disconnected from their inner self via bio-neurological impairment, they are unable to discern the difference from their own inner thoughts, and those they pick up from the external sources. They are unable to discern mind control transmissions that are pulsed into the environment. This is the general profile of many 3D people that are being controlled through their automatic bio-neurological functions, via drugs, mind control, implants, addictions, sexuality and consistent marketing messages to buy more consumer goods. We live in a society that equates our worth as people with the consumer goods we purchase. Thus, for most 3D people playing this material game, they are not aware of how this external control over their nervous system and brain is taking place within excessive consumerism, marketing and materialism. People without self-awareness and knowledge about their bio-neurology and consciousness functions are being regressed into disconnected mind controlled robots. The people on the earth are undergoing a methodical procedure of controlled de-humanization through dissociation. To dehumanize people, the NAA employ trauma based mind control methods, treat people and nature without empathy, dignity or respect, and intentionally disconnect people from accessing their higher intelligence and consciousness functions. This is easy to accomplish if the entities gain access to the human body through controlling the CNS impulses and the thoughts transmitted to the brain receiver. When we become more aware of how our nervous system and brain work to transmit impulses and receive electromagnetic signals to interpret and operate all of the functions of our body, we realize this is a critical function of our consciousness. As it impacts our consciousness, it is important to focus on determining the energetic quality of the signals we are processing through our nervous system and brain. The health of our CNS and its ability to send out high frequency energy signals, form critical functions that communicate directly with our intelligent Soul-Spirit energies. 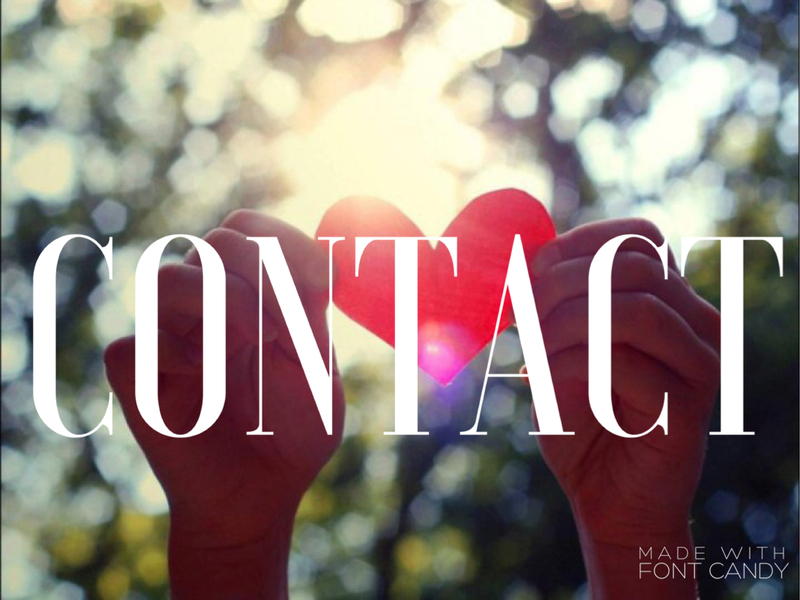 High frequency energy signals like love, compassion, empathy and spiritual connection help to repair our nervous system and help us to reconnect with our Soul-Spirit intelligence messaging. Artificial signals and low frequency energy signals like fear, hatred, violence or jealousy damage our nervous system and disconnect us from our Soul-Spirit. The human lightbody or aura is comprised of multiple interconnected layers of electromagnetic fields of energy that extend all around the physical body like an energy shield covering and protecting all of the bodies. When we are meditating and practicing our 12D shielding, we are placing our attention on our lightbody to help strengthen, protect and grow our personal consciousness body. The lightbody is the structure, which is required to house the electromagnetic energies of the Soul-Spirit bodies in order to connect them with the physical layer of the human body. Electrical impulses are generated from the lightbody via the Nadial Structure, which is a spiritual body part. It is made up of a webbing of energetic receivers and energetic transmitters that are intrinsic to the interconnected messaging functions in the human Soul-Spirit consciousness layers. Therefore, it is critical to understand that our Central Nervous System and brain have an energetic counterpart, which has its own specific architecture for directing neural impulses into our personal consciousness blueprint. The Nadial Structure is the energetic blueprint for our physical body’s CNS. It has a complex webbing of energy receivers and energy transmitters held in a tissue like membrane body, called the Nadial Capsule. This is a layer that is a part of the Soul matrix bodies. It is activated in our heart complex function and has its control panel and instruction set located in the 4D Astral Layer. Once monadic integration takes place the Nadial Structure integrates into the higher heart functions activated by the thymus gland, which governs the circuitry within the Krystal body. When the Nadial Structure is damaged, one cannot have deep sensory feelings and loses the heart-based experience of interconnection with life, impairing feelings of empathy. The Nadial Structure is the feeling sensory body of the Soul. The Nadial Plexus is the epicenter of the feeling sensory functions of the energy receivers located in the entire Nadial Structure. The Nadial Plexus is also an intrinsic part of the functioning of the entire heart complex, the feeling intelligence of the heart, so this is the center of one’s feeling heart-brain. It is the central area from which, a person senses the deepest sensations of heart-based feelings, when the heart pours out Soul qualities like love, empathy or compassion. The Nadial Capsule is the tissue body, the membrane that holds the webbing and layers of the entire Nadial Structure together. The Nadial Capsule can be ripped, torn, burned or damaged, by a variety of technological or emotional abuses and related spiritual trauma that damage and impact the Nadial functions. The NAA has a direct agenda to destroy the Nadial Structure in the human lightbody, and therefore it is important to know it exists and to take steps to protect it. The intricate matrix of Nadial webbing is that which merges together all of the interconnected layers of the spiritual bodies. As an example, the Nadis webbing is what connects the physical body to integrate with the Soul layers, then integrate with the Monadic layers, and then integrate with the liquid plasmic layer of the Avatar self. Without the Nadial Structure functioning in the aura as the webbing of energy receivers and transmitters, the spiritual consciousness bodies cannot integrate properly, nor connect with the physical body. Our physical body appears solid but it is pure energy vibrating at a specific frequency that produces many tiny electrical impulses. Those electrical impulses coming from our physical body must be harmonized with our Soul consciousness frequency, in order to connect them through the heart and further interconnect them through the Nadis. Therefore, when we have a better understanding of how important our Nadial Structure and its functions are, to relay messages directly between our Soul matrix and CNS, we can see why the NAA would choose to target it for control. The Nadial Structure in our Soul matrix is that which transmits signals and coded messages to the CNS and brain in our physical body. Complex data is stored and encoded in the electromagnetic frequency waves that make up our Soul-Spirit layers, and these generate holographic light images, which relay DNA codes and related information to the biology. The DNA acts as a holographic projector of electromagnetic coded information and relays that into bio-chemical information signals to communicate with the core Lightbody structure. The CNS receives those DNA signals with coded information and acts to coordinate the electromagnetic information to the rest of the cells in the body. The cells transmit the electromagnetic impulses outwards from the body into the aura, and that energetic information is received and interpreted by the brain, which organizes the data and generates bio-chemical transformations. The correct functioning of our Nadial Structure is dependent on the bio-chemical conditions in the functions of the brain and the emotional health of the heart complex, which is defined by the emotional influence we have developed to align with our Soul intelligence. As an example, if a human has a broken heart, fragmented Soul, expresses negative emotions and is traumatized, shutting down their heart complex, this spiritual damage greatly impacts the Nadial Structure. Psycho-emotional trauma combined with prescribed psycho-active drugs used to effect brain bio-chemistry, can further impair the deeper bio-chemical and electromagnetic functions of the CNS and brain of that person. When a person is exposed to consuming psychoactive substances that specifically generate biochemical pathways, this impacts the structures of the proteins, and the formation of DNA/RNA nucleic acids and how that information is recorded in the cells. Therefore, administering chemical substances that change brain function can interfere with the electromagnetic signals that communicate between the CNS, brain and body parts, as well as block higher spiritual connections by turning off DNA receivers. Thus, recreational use of psychoactive drugs and plants should also be treated with great caution, education and respect for their direct effects upon the bio-chemical functions of the body. The NAA uses AI signals to hijack many of these substances to hack the bio-neurology. It is accurate to say that the common traumatic condition of the human heart and brain, as related to accumulative psycho-emotional debris and spiritual damage, results in bio-neurological damage. These are factors directly interrelated to the current increasing epidemic of mental illnesses upon the earth. However, when this communication from the Soul-Spirit is working between the Lightbody and the CNS, they function together as the communication link between energy receivers and transmitters that signal into the nerve cells and brain. The nerve cells build new biological neural networks which instruct the brain and spiritual intelligence to connect the energetic circuitry required to grow the human electromagnetic field, and this forms into the energetic aura that projects outward from the body. The energetic quality of the person’s energy aura will be represented in the energetic balance of the physical, mental, emotional and spiritual functioning, and will be demonstrated in the physical through the person’s thoughts, behaviors and actions. The quality, color and size of the energy aura of a person is directly related to the level of health, bio-neurological functioning and spiritual connection that person has access to. A person with a bigger and brighter energy aura is more healthy, coherent and balanced, with a better functioning nervous system and brain, than a person with a small and cloudy energy aura. Small, gray, cloudy energy auras will produce more blockages and imbalances, such as mental dysfunctions or defects in the functioning of the brain and nervous system. Our nervous system contains millions of nerve cells, called neurons or nerve cells. Nerve cells are highly specialized to transmit messages from one part of our body to another. The function of nerve cells and the central nervous system is to transmit electrical messages and signals throughout the body, and to transmit electrical messages and signals between the spiritual-energetic layers of our Soul-Spirit bodies to our physical cells and brain. A neuron or nerve cell is an electrically excitable cell that processes and transmits information through electrical and chemical signals. The signals between nerve cells occur via the synapses, which are structures of connections made with the other cells. Nerve cells are the core components of the brain and the spinal cord of the entire central nervous system. The way neural connections are formed in the brain is similar to routing traffic when traveling distances on the main roads and highways. The main roads and highways that people are most familiar with and know are used much more often. In the human brain it is the same. The signals will find the main neural pathways formed by the most common and repetitive thought forms, which then form into neural connections. Thus the brain will process and route signals that are received to connect to the main neural pathways, based on the most common previous patterns of thinking. A mirror neuron is a nerve cell that fires when the person observes an action being performed by another person. The neurons that fire in response to seeing actions taken by someone else’s body are called mirror neurons. Thus, it is important to know that while observing the behavior of another, nerve cells or neurons in us, fire similar sets neuronal connections in our body, which mirror those that are firing in the person we are observing. This means that a person watching the behavior of another as the observer is actually carrying out the same pattern of action, via the information being carried in their neural impulses. In the early developmental phases of childhood, mirror neurons develop mirror properties through the child mimicking and imitating the repetitive behavior of their parents and the environment. With some autistic children, the bio-neurological impairment manifests through lower functioning of the mirror neurons. The disconnection of neural activity to mirror neurons impairs emotional development. This limits the interconnection of shared feelings to occur in human bonding, which removes or limits feelings of empathy. A self-aware person can contemplate the profound meaning mirror neurons have in relationship to increasing shared feelings of empathy, and conversely, the impact of negative thought patterns that are easily conditioned into the group mind control systems on the planet. Through the observation and consistent use of the same repetitive behaviors, such as broadcasting recurring images and repeating the same phrases in language, which set grooves in brain patterns formed by the repetition of neural impulses. The repetitive neural impulses create associations and meanings in the brain that form into mental maps. The repeating signals transmitted in the neural impulses of mental maps are formed by groups of people, which then spread to other people through the mere act of observing those same behaviors and actions. If the people involved are unconscious of their reactions and unaware of what they are observing, they absorb the information of those larger collective group signals into their own subconscious mind and form the same mental map. People that are unconscious to larger negative patterns, will mirror the same exact thoughts and behaviors that they have been conditioned to repeat from the environment, while teaching these same patterns to their children. However, the mirror neurons also function to help us to sense the intentions and feelings behind the actions of other people. Therefore, mirror neurons are the neurological basis for the human capacity to sense and feel deep ranges of emotions, which are also related to feeling empathy and developing higher sensory perception. How do we know when a person’s body language or silence is emitting signals of whether they are calm, happy, sad or angry? How do we feel good vibes or bad vibes when we are walking in a certain demographic location? Mirror neurons hold the sensory information from the consciousness memories that we have gathered and interpreted by continually observing people and things in our environment. As we gain expanded consciousness through more deeply connecting with our inner spirit, we gain control over the functions of our neurons and the type of information being signaled to the body. Through the process of awakening into deeper self-realization, the person becomes more aware and realizes their state of becoming conscious. Through becoming more conscious of the state of consciousness, the neurons and brain begin to change and adapt to the new conditions of the expanding reality. This in turn enhances the brain activity to open up to significant changes that can turn on new synapses, which can entirely remap the brain. The flexibility of the brain to adaptively rewire itself, producing radical shifts in consciousness, behavior, thought and emotion, is called Neuroplasticity. The agility of consciousness to redirect the neural traffic of the brain affects the strength and action potentials of the neural connections and pathways, and this can totally shift the mental map in the brain. Neural and mental flexibility plays a large role in a person’s ability to activate higher learning, develop higher consciousness, and access memory and sensory functions in the brain. This means that our direct consciousness experiences and spiritual practices do change both the brain’s physical structure (anatomy) and functional organization (physiology), which result in positive changes that lead to greater consciousness freedom. Spiritual practices like mindful meditation, help to increase self-awareness through improved brain functioning, as well as, heighten mirror neuron activity while strengthening the nervous system. As with any biological ability, we have to access and use our mirror neurons in order for them to multiply, deepening our ability to become conscious. Thus, shifting our consciousness changes how the firing of mirror neurons in our own body, relay signals about what is happening in the world around us. We experience these signals, or neural impulses based on the consciousness resonance of the other person, and how that is related to the action or outcome of the event that is observed. This means the neurons can mirror what has meaning or association in the event to that person. The consciousness resonance will interpret the neural impulses as either; harmonious, discordant or neutral signals, which will be interpreted in the physical body with the same energetic resonance. To the degree a person is capable of accurately interpreting their own bodily signals when exposed to harmonious, discordant or neutral energies, is a measurement of that person’s development, and reflects whether they have a reasonable connection to restore healthy functioning to their own nervous system and brain. Mirror neurons and neural activity in the living tissue of the human body and brain are directly interconnected with the energetic consciousness, the soul of that person. Accordingly, the spiritual-energetic functions of consciousness have direct implications upon all nerve cell activity, mirror neurons and the healthy functioning of the entire nervous system and brain. A consciousness transported into a synthetic body, such as a biological drone, does not have the same biological neural networks and brain activity, or the function of mirror neurons. Hence, the types of entities that use artificial intelligence networks, and project consciousness into synthetic bodies, are unable to experience direct cognition to comprehend ranges of emotion, and are unable to generate feelings of empathy for other living creatures. Effectively, they are soul-less entities. This is why they are obsessed with Transhumanism and studying the range of genetics within the living tissues of human bodies. Humans have a significant range of emotional states and sensory perceptions they can experience, that these entities find mysterious and cannot generate themselves. Unfortunately, as a result of bio-neurological impairment combined with trauma based mind control systems, many humans on the earth at this time are losing their ability to express higher emotions and empathy. This is the result of soul disconnection, alien hybridization, mind control, violence and trauma impacting both the consciousness, and the functioning of the neurological system, brain and body. Practicing mindful meditation and higher emotional behaviors of loving kindness, compassion and peace, heals the human nervous system, as well as, heals many disorders that had been formed by the past brain patterns. When we can relax into the inner stillness of our being that exists without thought, when we feel safe enough to allow a space inside ourselves to feel deeply, it opens the doorway to empathize with the feelings of other people. When we empathize with other people, when we can feel the emotions of other people, mirror neurons are involved. As these mirror neurons fire in our brains and aura, it also effects all of the brains and auras of the people in the area. The process of empathizing with the emotions and the feelings of others, and ourselves, is the process to embody the quality of empathy. Empathy is a function of our soul, and both are embodied together as a part of the virtues we gain when connecting with our higher consciousness. When we are present in the moment, aware that we are aware, the empathic ability of our mirror neurons to fire in response to the perception of another person, allows us to feel what it is like to be in that persons situation. 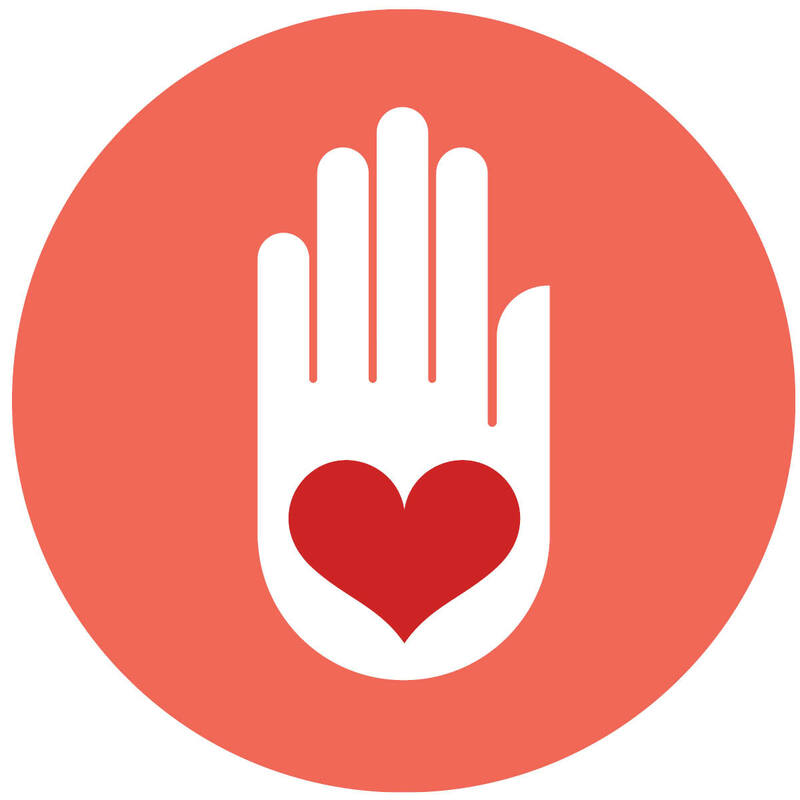 This is the starting position for developing loving compassion by feeling empathy for others. Compassion and empathy are the cornerstones of love, they are the fabric that interconnects us to all people and things, connects us to all life, and form the foundation for World Humanism. When we are capable of putting ourselves in the other person’s body and imagine what it would feel like to undergo exactly what they are experiencing, we are practicing empathy. How would we feel if this situation was happening to us? The mirror of consciousness is reflected back to us via the mirror neurons, thus we can reflect upon our own sense of identity and emotional patterns through what we feel. We see and feel our own patterns being reflected in both the self, and the other. At this moment of self-realization, when we deeply feel empathy, we have no choice but to experience the other as the self. The sense of separation and isolation that seemed to exist between the experiences of the other self and the now self, falls away. The more we travel in these neural pathways created in the brain by the soul, the more we practice self-reflection and empathy, the more mirror neurons we will generate, which shifts our personal mental map and potentially, others mental map. Spatial memory is the part of the brain’s memory function that is responsible for recording information about the person’s environment and to have an awareness of their orientation in time and space. Spatial memory operates like a mental map, it holds information for an individual to access, code, store and recall information about the location and characteristics of events that they experience in their everyday life environment. Each of us has our own mental map, which has been created from the accumulated memories that we have retained during our direct experiences. When we accumulate knowledge throughout our life experiences, we gain a pattern of thought and behavior that creates a framework or schematic for organizing all of the memory content in our mental body system. The coherence and strength of that mental framework or schema, is what defines the ways we are able to perceive new information and knowledge. Our mental map acts as a mainframe network that forms our personal schema and decoding of language, it is the lens from which we perceive all things. Most people’s mental map and personal schema have been formed from automatic thoughts that are generated from the unconscious mind content in the collective unconsciousness. Thus, most people tend to pay attention only to the things that fit onto their personal schema of unconscious and conscious mind beliefs, which they use to explain the nature of reality and to understand the world around them. They tend to re-interpret any new information that has contradictions to their beliefs, in order to fit that into their personal schema. Our personal schema influences the way we perceive things and can ultimately block the uptake of new information, if our beliefs are mentally rigid. This may lead the person to selectively remember only certain things, taking in a small sliver of the actual data in situations, in order to have that information fit into their schema of thought. Most people form mental shortcuts, because it requires the least amount of effort. They choose the most common explanation that is easily accessible to interpret any new information, and label the new information with something they can recall and fit into their personal schema. As an example, we have heard the phrases; weather balloon, swamp gas, attention seeker and conspiracy theorist, used many times to discredit abduction scenarios or unidentified flying crafts, in order to fit these experiences into the NAA mind control schema. Our personal schema is that which represents the knowledge base we have accumulated which forms into the language and meaning we use to express connections made between concepts. Our mental map is what allows us to visualize images in our mind’s eye, to see visual mental imagery and to see things with the mind. When we accumulate knowledge throughout our life experiences, we gain a pattern of thought and behavior that creates a framework for organizing our mental body system, the way we are able to perceive and categorize new information. If we can gain a mental map for bio-neurological consciousness expansion, also called Ascension, we can open our mind to consider a new knowledge base, which helps us to increase neuroplasticity, activating new brain activity and neural networks which help to expand our personal schema. The Ascension stages are about the bringing down of the layers of light and sound from our higher frequency spiritual bodies, by descending these layers into matter and anchoring them into our physical body via successive kundalini activations. The transmissions of electromagnetic frequencies occur throughout many functions of our bio-neurology, between the CNS, brain and physical body parts, as well as the Nadial Structure and spiritual body parts. Simultaneously, Ascension is a shift in the energetic spectrum of frequency patterns held in our physical self. When absorbed and activated into the layers of the human bio-energetic field, it activates the higher DNA instruction set. This catalyzes a chain of events that creates a complete transformation and transmutation of various patterns and thought programs held in the identity, which shifts timelines and changes the direction the consciousness of that person is travelling. When spiritually activated, these old identity patterns begin to shift, re-emerge and clear from the layers of experiences coded into every cell and memory pattern held as an energetic vibration within the person’s bodies. The biological ascension process manifests physical, mental and emotional Ascension symptoms that ignite spiritual crisis, which is referred to as the Dark Night of the Soul. Many people without Ascension context are captured into the medical system and are being prescribed drugs that interfere with their spiritual development, because they are being told that they have a disease. We all must do our research and due diligence to find our own personal truth to take control over our personal health and wellbeing. We cannot give that responsibility away to others. Spiritual Initiation: This is about the initiation of your physical body as it connects into a new electromagnetic frequency wave that is contained in the intelligent layers of your personal Soul-Spiritual bodies. This will activate in collaboration with what higher frequencies are becoming available, or are being generated onto the planet, as well as in connection to the personal blueprint. The goal is to initiate the bio-neurological connection with a frequency layer of coded electromagnetic information that is designed to help you to activate and plug in the higher DNA codes. Each of us has a higher self intelligence, and it is this higher self aspect that directs the Ascension process with our physical self. Sometimes, there are teams of Ascension Guides related to the person’s spiritual family line, which come to help the person undergo the initiation process. Essentially, a person is activated into spiritual initiation when their neurological structure gets plugged in and begins to accrete the electromagnetic light codes and frequencies of the Soul through kundalini activation. Kundalini activation pulls in new neurological structures and neural networks that act as energy receivers so the person can absorb the new frequencies and intelligence into their auric body. Kundalini activation is also about activating DNA frequency receivers called Apparthi receivers, which act as a bundled nerve plexus for transmitting DNA Encodements and intelligence transmissions into the Lightbody. DNA also has 12 sub-strands, and those are called fire-codes or Fire Letters. Fire letters are the cellular alphabet of our DNA, and they become activated and organized by our neurological receivers, when we start to absorb the frequencies from the first octave of our next dimensional ascension. The body usually follows the consistent process of initiating into the next higher frequency layers, in order of each harmonic tone, to help the physical self and body more easily acclimate the frequencies into the lightbody. Too much exposure to high electromagnetic frequency too soon, can seriously damage the neurological system and brain, resulting in psychosis. Each individual has a specific energy signature (incarnation path) that determines the detail of awakening. Indigos and Starseeds are the first waves of people spiritually awakened to be initiated into kundalini activation during the Ascension Cycle. Every person has a unique path of Ascension, yet the same internal connection of an electromagnetic process of bio-spiritual transformation occurs. 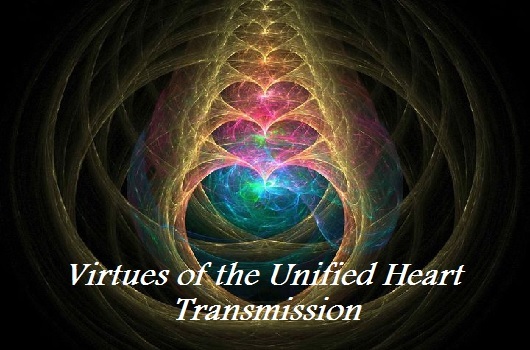 Consciousness expansion occurs through the progressive states of initiation that are made through successive and increasing electromagnetic frequencies of kundalini activation, which are transmitted to the entire bio-neurology. Absorption: Once the new electromagnetic frequency is initiated into the aura and being transmitted into the body by the CNS and brain, the frequency and information it carries is gradually being completely absorbed within the Lightbody. 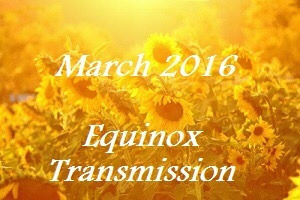 Each individual has a specific process during the personal frequency absorption process, as the new frequency will hold information that will bring to the surface many different kinds of experiences, as it reveals karmic lessons, issues of self-mastery, other lifetimes, seeing deceased relatives, emotional and spiritual conflict resolution, etc. Kundalini spirals move up the spinal column, conducting with the spinal nerves, and its electromagnetic frequency will move up the central column and flood into the chakras and spiritual bodies. As the new frequency starts to accrete in the lightbody, it will come up against energy blockages in the body. At this stage karmic patterns may appear to dislodge or clear out dead light blockages or miasma that need to be cleared to spiritually progress. 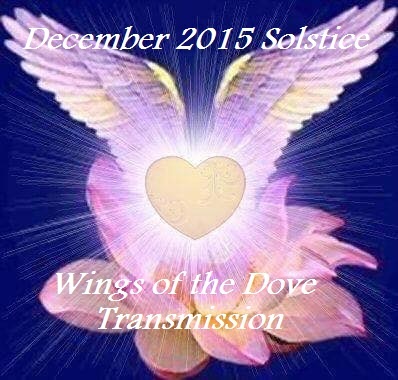 During this stage, many strange things can occur as the spiritual energies are becoming physicalized. Successive clearing of psycho-emotional energy blockages allow access to higher intelligence and begin expanding consciousness through the person’s higher spiritual identity. When this movement through dimensional bands and communication links to higher intelligence comes online, it is perceived by extra-dimensionals, such as advanced ETs. They will attack an ascending person to keep them controlled or derailed from the ascension process. As an example, when ascending into the Soul dimensions, the person starts to absorb Soul frequencies into their heart center via the Nadial Structure, which relays that information to their CNS and brain. There are twelve (12) subharmonic tones within each dimension (4D-5D-6D), which make up the three layers of the Soul body. The person starts to accrete the 1st subharmonic of the Soul layers and must absorb all 12 to complete the entire 4D spectrum. This continues all the way up the harmonic scale of dimensions where we all have aspects of our spiritual bodies. These frequency notes drill down through the layers of our Lightbody until they’re fully anchored and interconnected into our physical structure. This process is also referred to as light accretion. The combination of our natural biology, Soul and Monad intelligence is in charge of this process, and the higher intelligence does this as smoothly as possible. If the person resists or does not understand what is happening to them, it can block progress, and block spiritual communication from continuing. The NAA promotes fear in the spiritual development process to stop it from occurring. Integration: Upon the aura receiving the maximum frequency absorption of the newly absorbed electromagnetic signals that came from the kundalini spiral up the spine, the higher consciousness identity, Chakras or Orb Bodies, as well as DNA is activated to integrate into the physical self. The individual will begin to integrate new energies, may grow new neural networks and become more telepathic or develop higher sensory abilities. There are many Ascension symptoms, which make changes to every area of the person’s make-up, including physical, mental, and emotional changes that shift perceptions or the sense of identity leading to ego death. If the ego mind is not prepared for this change in consciousness, it may result in psycho-spiritual crisis and problems coping with letting go. Because there is no information on Ascension, most people feel extremely disorientated and even scared that they are ill or that they are losing sanity. The NAA is happy to reinforce this distorted narrative. Ascension Symptoms, kundalini activation, spiritual crisis and the recall of trauma and abuse memories from current or other lifetimes, can be misidentified as medical issues. 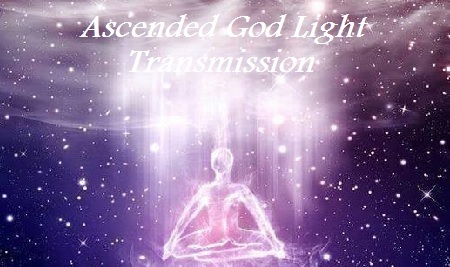 Ascension: After absorbing all of the frequency bands and codes in a dimensional instruction set that is held within the kundalini triad current, the frequencies will cause systemic upgrades that result in new levels of spiritual consciousness in terms of greater planetary awareness, higher sensory perception, and experiencing energy as intelligent. 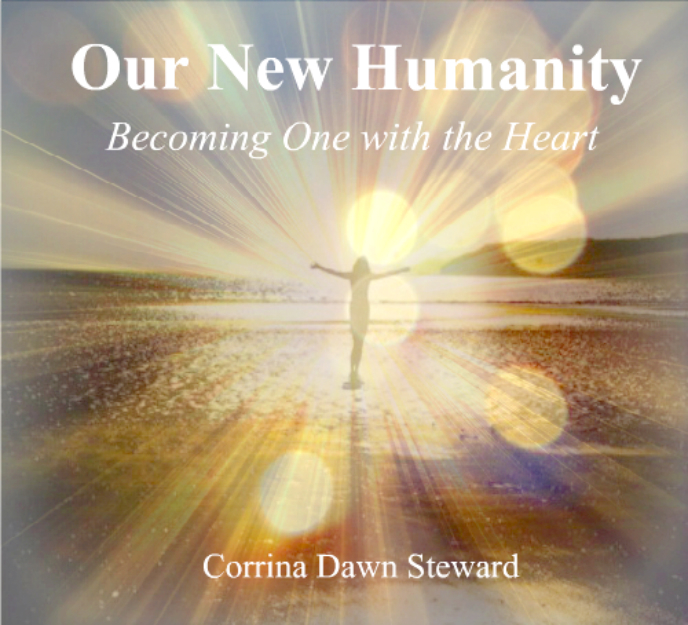 Humanity is growing their consciousness to evolve and become interconnected with the planetary consciousness, and that is shifting earth humans to be rehabilitated and to practice the higher principles of Service to Others. When a person evolves into the higher realms of the monad (8D+) or they are Starseeds, they will start to have interactions and awareness of higher intelligent ETs, light and dark beings, and other levels of planetary or stellar consciousness. The monadic body will start to build an orb body to accrete liquid plasma light, and this builds our eternal divine source body, or Krystal Diamond Sun body. The Krystal Diamond Sun body is equated with the Cosmic Sovereign Law of One, over which there is a Galactic War to control the content and it’s Diamond Architecture. These are the dimensions of liquid plasma light or hydroplasmic light in the anti-particle fields which unite with the Zero point God fields, beyond time and dimensionalization. When a person is communicating with and embodying the monadic and avatar levels, they are guided solely on missions to be in Service to Others. When in a life of earth service or incarnated with a specific spiritual mission, they will start to perceive holographic architecture, such as the Planetary Gates, Stargates, and the Planetary Grid Networks, which usually makes them a Gridworker. Please only take what is useful for your spiritual growth and discard all the rest. Thank you for your courage and bravery to be a truth seeker. I am God, Sovereign, Free! This article originally posted HERE. Donate! Thank you for your energy “currency” exchange.